A few weeks back Toronto hosted another fantastic IMATS. I was luck enough to go on the Sunday and get some goodies I had been wanting for a long time. I always want brushes. I have problems. 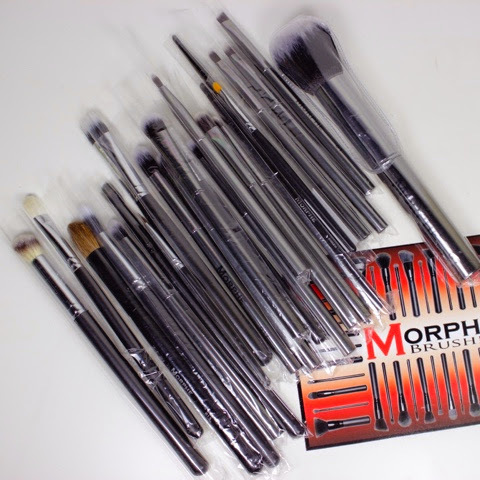 Usually I check out the Crown brush stand but this year I went to Morphe. For the most part they offer the exact same brushes, but I was drawn to the Gun Metal line which I had never seen before. I grab quite a bit of those and some classic brushes that were the same as Crowns (duo fiber, badger, and studio pro). When It was all said and done I spend $99 on the brushes, I'm very happy. Beauty So Clean is a makeup artist staple and while I still had some of the makeup cleaner at home I wanted to get more brush cleaner and wipes. All together I spent $15. Not shabby at all. 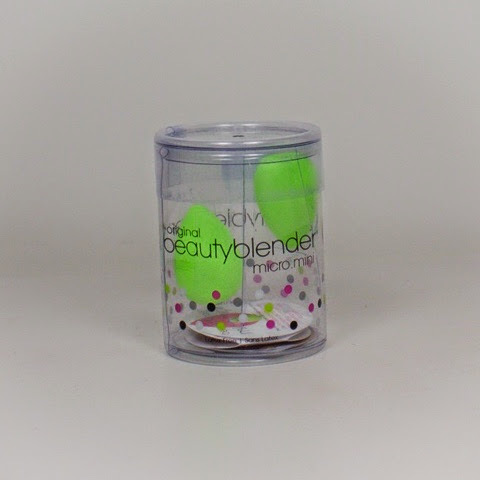 I love love love my beauty blenders. I refuse to pay the crazy prices at Sephora for them thought. At the show a booth had them for $20 each of 2 for $30. I had to grab some for a friend so it worked out I only paid $15 for this baby. I was super excited to get the new mini version...can't wait to try it out. One place I was not expecting to go to was the Makeup Forever booth. They offer 40% off items and other deals just for the event. As a result it has the longest lines. Since I have friends who get the Pro Discount of 40% all year round I never thought it was worth the hassle. Lucky for me I got to the show so early I was near the front of the line to enter which meant no Makeup Forever line. 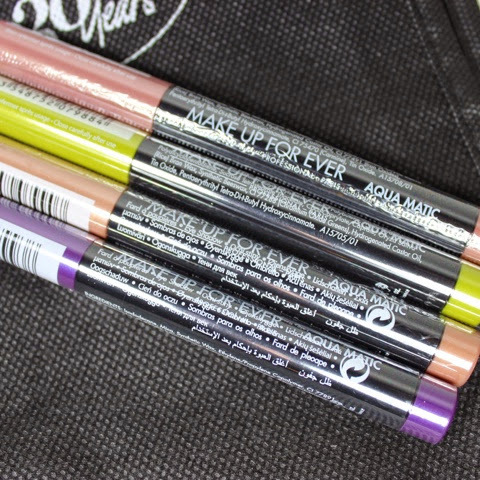 They had a great deal on where for $40 plus tax you got 4 of their Aqua Matic liners. 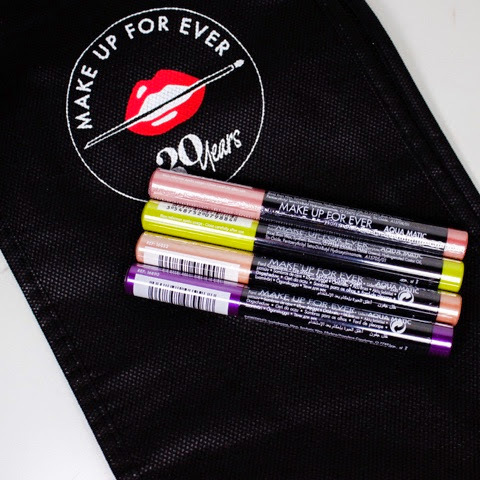 I am super excited to use these, they can be used for both lip and eye liners. 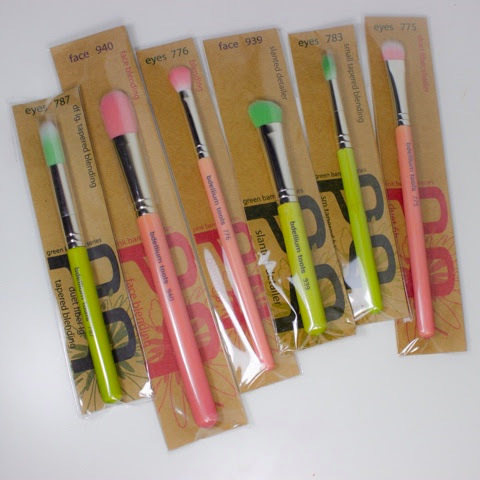 Last year I fell in love with Bdellium Tools and got a bunch of their brushes. This year I was a bit more reserved and only got 6. I most are repeats from last year that I loved to much. Eeek, more brushes...I'm happy. Nigel's Beauty Emporium is famous with makeup artists around the world for their selection of pro products. I love their cheap lashes...I mean I love them. I have never been the best with lashes on myself, but since discovering them last year I haven't been able to screw them up once. Best part is they were 15 for $20 this year. I also got mini pointed q-tips which are amazing when doing makeup and you need a little correction or smudger. 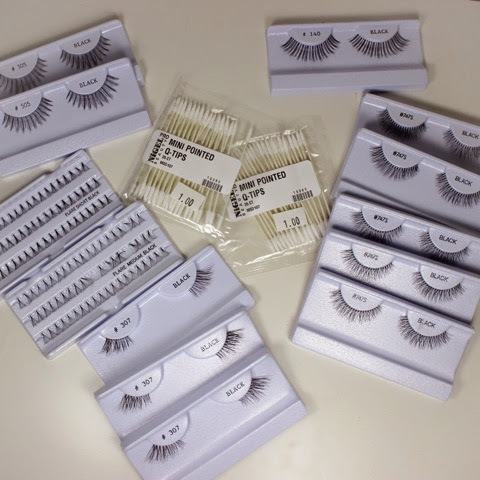 The Blur room is a great place in Toronto to get makeup staples and supplies. 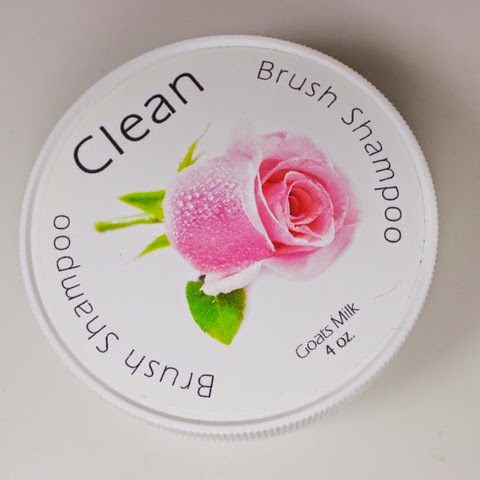 I heard so much good stuff about Clean Brush shampoo that I decided to get a very large container of the Rose and Goats Milk cleanser, it was $12. Now if only I could get someone to wash my gigantic brush collection.